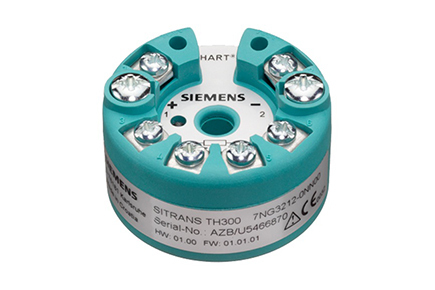 The Sitrans TH300 Temperature Transmitter with HART protocol is designed to support all common thermocouples, resistance and millivolt sensors. Setup is quick and easy with SIMATIC PDM or handheld communicator. Unique user-friendly details are implemented: Without opening the 4..20mA loop the output current can read out directly with a multimeter. A red/green LED shows the technician the status at a glance.